Контроль боли – принципиальная задача при ведении пациентов, страдающих болезнями опорно-двигательного аппарата. Аналь- гетическая терапия занимает важнейшее положение при лечении таких распространенных заболеваний, как остеоартроз, неспецифическая боль в спине, ревматическая патология околосуставных мягких тканей. Развитие и хронизация боли при этих состояниях определяется единым патогенетическим механизмом, ключевым звеном которого следует считать воспаление. Это диктует необходимость применения противовоспалительных средств, прежде всего нестероидных противовоспалительных препаратов (НПВП). При использовании НПВП обязательно следует учитывать риск нежелательных реакций, а выбор конкретного лекарства следует основывать на соотношении эффективности и безопасности. Одним из наиболее сбалансированных в этом плане НПВП по праву может считаться ацеклофенак. Представлен обзор данных литературы о применении этого препарата, включая наиболее крупные клинические и эпидемиологические исследования. 2. Woolf AD, Pfleger B. Burden of major musculoskeletal conditions. Bull World Health Organ. 2003;81(9):646–56. Epub 2003 Nov 14. 3. Breivik H, Collett B, Ventafridda V, et al. Survey of chronic pain in Europe: prevalence, impact on daily life, and treatment. Eur J Pain. 2006 May;10(4):287–333. Epub 2005 Aug 10. 4. Насонова ВА, Фоломеева ОМ, Эрдес ШФ. Ревматические заболевания в Российской Федерации в начале XXI века глазами статистики. Терапевтический архив. 2009;(6):5–10. [Nasonova VA, Folomeeva OM, Erdes ShF. Rheumatic diseases in the Russian Federation in the beginning of the XXI century through the eyes of statistics. Terapevticheskii arkhiv. 2009;(6):5–10. (In Russ.)]. 6. Каратеев АЕ. Болезни костно-мышечной системы в практике 2102 врачей разных специальностей: структура патологии и мнение специалистов об эффективности НПВП (предварительные данные эпидемиологического исследования КОРОНА-2). Consilium medicum. 2013;(9):95–100. [Karateev AE. Diseases of the musculoskeletal system in practice of 2102 doctors of different specialties: thestructure of pathology and the opinions of experts about the effectiveness of NSAIDs (preliminary data from epidemiological study CORONA-2). Consilium medicum. 2013;(9):95–100. (In Russ.)]. 7. Staud R. Evidence for shared pain mechanisms in osteoarthritis, low back pain, and fibromyalgia. Curr Rheumatol Rep. 2011 Dec;13(6):513–20. doi: 10.1007/s11926-011-0206-6. 8. Felson DT. The sources of pain in knee osteoarthritis. Curr Opin Rheumatol. 2005 Sep;17(5):624–8. 9. Blondell RD, Azadfard M, Wisniewski AM. Pharmacologic therapy for acute pain. Am Fam Physician. 2013 Jun 1;87(11):766–72. 10. Kroenke K, Krebs EE, Bair MJ. Pharmacotherapy of chronic pain: a synthesis of recommendations from systematic reviews. Gen Hosp Psychiatry. 2009 MayJun;31(3):206–19. doi: 10.1016/j.genhosppsych. 2008.12.006. Epub 2009 Mar 4. 11. McAlindon TE, Bannuru RR, Sullivan MC, et al. OARSI guidelines for the non-surgical management of knee osteoarthritis. Osteoarthritis Cartilage. 2014 Mar;22(3):363–88. doi: 10.1016/j.joca.2014.01.003. Epub 2014 Jan 24. 12. Bruyere O, Cooper C, Pelletier JP, et al. An algorithm recommendation for the management of knee osteoarthritis in Europe and internationally: a report from a task force of the European Society for Clinical and Economic Aspects of Osteoporosis and Osteoarthritis (ESCEO). Semin Arthritis Rheum. 2014 Dec;44(3):253–63. doi: 10.1016/j.semarthrit.2014.05.014. Epub 2014 May 14. 13. Koes BW, van Tulder M, Lin CW, et al. An updated overview of clinical guidelines for the management of non-specific low back pain in primary care. Eur Spine J. 2010 Dec;19(12):2075–94. 14. Andersen JC. Is immediate imaging important in managing low back pain? J Athl Train. 2011 Jan-Feb;46(1):99–102. doi: 10.4085/1062-6050-46.1.99. 15. Chou R, Fu R, Carrino JA, Deyo RA. Imaging strategies for low-back pain: systematic review and meta-analysis. Lancet. 2009 Feb 7; 373(9662):463–72. doi: 10.1016/S0140-6736(09)60172-0. 16. Jarvik J, Gold L, Comstock B, et al. Association of Early Imaging for Back Pain With Clinical Outcomes in Older Adults. JAMA. 2015 Mar 17;313(11):1143–53. doi: 10.1001/jama.2015.1871. 17. Igarashi A, Kikuchi S, Konno S, Olmarker K. Inflammatory cytokines released from the facet joint tissue in degenerative lumbar spinal disorders. Spine (Phila Pa 1976). 2004 Oct 1;29(19):2091–5. 18. Genevay S, Finckh A, Payer M, et al. Elevated levels of tumor necrosis factor-alpha in periradicular fat tissue in patients with radiculopathy from herniated disc. Spine (Phila Pa 1976). 2008 Sep 1;33(19):2041–6. doi: 10.1097/BRS.0b013e318183bb86. 19. Walsh D, Bonnet C, Turner E, et al. Angiogenesis in the synovium and at the osteochondral junction in osteoarthritis. Osteoarthritis Cartilage. 2007 Jul;15(7):743–51. Epub 2007 Mar 21. 20. Pelletier JP, Martel-Pelletier J, Abramson SB. Osteoarthritis, an inflammatory disease: potential implication for the selection of new therapeutic targets. Arthritis Rheum. 2001 Jun;44(6):1237–47. 21. Alvarez-Soria MA, Largo R, Santillana J, et al. Long term NSAID treatment inhibits COX-2 synthesis in the knee synovial membrane of patients with osteoarthritis: differential proinflammatory cytokine profile between celecoxib and aceclofenac. Ann Rheum Dis. 2006 Aug;65(8):998–1005. Epub 2006 Feb 13. 22. McCarberg BH, Ruoff GE, TenzerIglesias P, Weil AJ. Diagnosis and treatment of low-back pain because of paraspinous muscle spasm: a physician roundtable. Pain Med. 2011 Nov;12 Suppl 4:S119–27. doi: 10.1111/j.1526-4637.2011.01253.x. 23. Roland M. A critical review of the evidence for pain-spasm-pain cycle in spinal disorders. Clin Biomech. 1986;1:102–109. doi: 10.1016/0268-0033(86)90085-9. 24. Ramsook RR, Malanga GA. Myofascial low back pain. Curr Pain Headache Rep. 2012 Oct;16(5):423–32. doi: 10.1007/s11916-012-0290-y. 25. Fisher NM, Pendergast DR. Reduced muscle function in patients with osteoarthritis. Scand J Rehabil Med. 1997 Dec;29(4):213–21. 26. Arokoski MH, Arokoski JP, Haara M, et al. Hip muscle strength and muscle cross sectional area in men with and without hip osteoarthritis. J Rheumatol. 2002 Oct;29(10):2185–95. 27. Blume C, Wang SS. Comparison of changes in supraspinatus muscle thickness in persons with subacromial impingement syndrome and asymptomatic adults. Physiother Theory Pract. 2014 Nov;30(8):544–51. doi: 10.3109/09593985.2014.902522. Epub 2014 Mar 28. 28. Silldorff MD, Choo AD, Choi AJ, et al. Effect of supraspinatus tendon injury on supraspinatus and infraspinatus muscle passive tension and associated biochemistry. J Bone Joint Surg Am. 2014 Oct 15;96(20):e175. doi: 10.2106/JBJS.M.01315. 29. Millar NL, Hueber AJ, Reilly JH, et al. Inflammation is present in early human tendinopathy. Am J Sports Med. 2010;38(10):2085–91. doi: 10.1177/0363546510372613. Epub 2010 Jul 1. 29. Benjamin M, McGonagle D. Histopathologic Changes at «Synovio–Entheseal Complexes» Suggesting a Novel Mechanism for Synovitis in Osteoarthritis and Spondylarthritis. Arthritis Rheum. 2007 Nov;56(11):3601–9. 30. Gotoh M, Hamada K, Yamakawa H, et al. Interleukin-1-induced glenohumeral synovitis and shoulder pain in rotator cuff diseases. J Orthop Res. 2002 Nov;20(6):1365–71. 31. Voloshin I, Gelinas J, Maloney MD, et al. Proinflammatory cytokines and metalloproteases are expressed in the subacromial bursa in patients with rotator cuff disease. Arthroscopy. 2005 Sep;21(9):1076.e1–1076.e9. 32. Felson DT. Osteoarthritis as a disease of mechanics. Osteoarthritis Cartilage. 2013 Jan;21(1):10–5. doi: 10.1016/j.joca.2012.09. 012. Epub 2012 Oct 4. 33. Tsao H, Tucker KJ, Coppieters MW, Hodges PW. Experimentally induced low back pain from hypertonic saline injections into lumbar interspinous ligament and erector spinae muscle. Pain. 2010 Jul;150(1):167–72. doi: 10.1016/j.pain.2010.04.023. Epub 2010 May 26. 34. Panjabi MM. A hypothesis of chronic back pain: ligament subfailure injuries lead to muscle control dysfunction. Eur Spine J. 2006 May;15(5):668–76. Epub 2005 Jul 27. 35. Mease PJ, Hanna S, Frakes EP, Altman RD. Pain mechanisms in osteoarthritis: understanding the role of central pain and current approaches to its treatment. J Rheumatol. 2011 Aug;38(8):1546–51. doi: 10.3899/jrheum.100759. Epub 2011 Jun 1. 36. Hochman JR, French MR, Bermingham SL, Hawker GA.. The nerve of osteoarthritis pain. Arthritis Care Res (Hoboken). 2010 Jul;62(7):1019–23. doi: 10.1002/acr.20142. 37. Fishbain DA, Cole B, Lewis JE, Gao J. What is the evidence that neuropathic pain is present in chronic low back pain and soft tissue syndromes? An evidence-based structured review. Pain Med. 2014 Jan;15(1):4–15. doi: 10.1111/pme.12229. Epub 2013 Oct 4. 39. O'Donnell JB, Ekman EF, Spalding WM, et al. The effectiveness of a weak opioid medication versus a cyclo-oxygenase-2 (COX-2) selective non-steroidal anti-inflammatory drug in treating flare-up of chronic low-back pain: results from two randomized, doubleblind, 6-week studies. J Int Med Res. 2009 Nov-Dec;37(6):1789–802. 40. DeLemos BP, Xiang J, Benson C, et al. Tramadol hydrochloride extended-release once-daily in the treatment of osteoarthritis of the knee and/or hip: a double-blind, randomized, dose-ranging trial. Am J Ther. 2011 May;18(3):216–26. doi: 10.1097/MJT.0b013e3181cec307. 41. Bjordal J, Klovning A, Ljunggren A, Slordal L. Short-term efficacy of pharmacotherapeutic interventions in osteoarthritic knee pain: A meta-analysis of randomised placebo-controlled trials. Eur J Pain. 2007 Feb;11(2):125–38. Epub 2006 May 8. 42. Roelofs PD, Deyo RA, Koes BW, et al. Non-steroidal anti-inflammatory drugs for low back pain. Cochrane Database Syst Rev. 2008 Jan 23;(1):CD000396. doi: 10.1002/14651858.CD000396.pub3. 43. Boudreault J, Desmeules F, Roy JS, et al. The efficacy of oral non-steroidal anti-inflammatory drugs for rotator cuff tendinopathy: a systematic review and meta-analysis. J Rehabil Med. 2014 Apr;46(4):294–306. doi: 10.2340/16501977-1800. 44. Насонова ВА. Ацеклофенак (аэртал) в ревматологической практике. Терапевтический архив. 2005;(5):87–90. [Nasonova VA. Aceclofenac (airtal) in rheumatologic practice. Terapevticheskii arkhiv. 2005;(5):87–90. (In Russ.)]. 45. Legrand E. Aceclofenac in the management of inflammatory pain. Expert Opin Pharmacother. 2004 Jun;5(6):1347–57. 46. Reginster JY, Paul I, Henrotin Y. What is the role of aceclofenac in the therapeutic arsenal against chronic osteoarthritis pathologies? Rev Med Liege. 2001 Jul;56(7):484–8. 47. Saraf S. Aceclofenac: a рotent nonsteroidal anti-inflammatory drug. Latest Rev. 2006;4(3). 48. Hinz B, Rau T, Auge D, et al. Aceclofenac spares cyclooxygenase 1 as a result of limited but sustained biotransformation to diclofenac. Clin Pharmacol Ther. 2003 Sep;74(3):222–35. 49. Dingle J. The effects of NSAID on the matrix of human articular cartilages. Z Rheumatol. 1999 Jun;58(3):125–9. 50. Blot L, Marcelis A, Devogelaer JP, Manicourt DH. Effects of diclofenac, aceclofenac and meloxicam on the metabolism of proteoglycans and hyaluronan in osteoarthritic human car-tilage. Br J Pharmacol. 2000 Dec;131(7):1413–21. 51. Dooley M, Spencer CM, Dunn CJ. Aceclofenac: a reappraisal of its use in the management of pain and rheumatic disease. Drugs. 2001;61(9):1351–78. 53. Chunduri NS, Kollu T, Goteki VR, et al. Efficacy of aceclofenac and diclofenac sodium for relief of postoperative pain after third molar surgery: A randomised open label comparative study. J Pharmacol Pharmacother. 2013 Apr;4(2):144–5. doi: 10.4103/0976-500X.110910. 54. Batlle-Gualda E, Roman Ivorra J, Martin-Mola E, et al. Aceclofenac vs paracetamol in the management of symptomatic osteoarthritis of the knee: a double-blind 6-week randomized controlled trial. Osteoarthritis Cartilage. 2007 Aug;15(8):900–8. Epub 2007 Mar 26. 55. Ward DE, Veys EM, Bowdler JM, Roma J. Comparison of aceclofenac with diclofenac in the treatment of osteoarthritis. Clin Rheumatol. 1995 Nov;14(6):656–62. 56. Kornasoff D, Frerick H, Bowdler J, Montull E. Aceclofenac is a well-tolerated alternative to naproxen in the treatment of osteoarthritis. Clin Rheumatol. 1997 Jan;16(1):32–8. 57. Perez Busquier M, Calero E, Rodriguez M, et al. Comparison of aceclofenac with piroxicam in the treatment of osteoarthritis. Clin Rheumatol. 1997 Mar;16(2):154–9. 58. Pareek A, Chandurkar N. Comparison of gastrointestinal safety and tolerability of aceclofenac with diclofenac: a multicenter, randomized, double-blind study in patients with knee osteoarthritis. Curr Med Res Opin. 2013 Jul;29(7):849–59. doi: 10.1185/03007995.2013.795139. Epub 2013 Apr 30. 59. Martin-Mola E, Gijon-Banos J, Ansoleaga JJ. Aceclofenac in comparison to ketoprofen in the treatment of rheumatoid arthritis. Rheumatol Int. 1995;15(3):111–6. 60. Schattenkirchner M, Milachowski KA. A double-blind, multicentre, randomised clinical trial comparing the efficacy and tolerability of aceclofenac with diclofenac resinate in patients with acute low back pain. Clin Rheumatol. 2003 May;22(2):127–35. 61. Lemmel EM, Leeb B, De Bast J, Aslanidis S. Patient and physician satisfaction with acec-lofenac: results of the European Observational Cohort Study (experience with aceclofenac for inflammatory pain in daily practice). Aceclofenac is the treatment of choice for patients and physicians in the management of inflammatory pain. Curr Med Res Opin. 2002;18(3):146–53. 62. Hаskinsson E., Irani M., Murray F. A large prospective open-label, multi-centre SAMM study, comparing the safety of aceclofenac with diclofenac in patients with rheumatic disease. Eur J Rheumatol Inflam. 2000;17:1–7. 63. Yanagawa A., Kudo T., Shimada J., et al. Endoscopic evaluation of Aceclofenacinduced gastroduodenal mucosal damage: a double-blind comparisonr with sodium Diclofenac and Placebo. Jap J Rheumatol. 1998;8:249–59. 64. Grau M, Guasch J, Montero JL, et al. Pharmacology of the potent new nonsteroidal anti-inflammatory agent aceclofenac. Arzneimittelforschung. 1991 Dec;41(12):1265–76. 65. Каратеев АЕ, Денисов ЛН, Маркелова ЕИ и др. Результаты клинического исследования АЭРОПЛАН (анализ эффективности и риска осложнений при лечении артрита ацеклофенаком и нимесулидом). Consilium Medicum. 2013;15(2):52–7. [Karateev AE, Denisov LN, Markelova EI, et al. Results of clinical research AEROPLAN (analysis of the effectiveness and risk of complications in the treatment of the arthritis with aceclofenac and nimesulide). Consilium Medicum. 2013;15(2):52–7. (In Russ.)]. 66. Каратеев АЕ. Сравнительная оценка влияния нимесулида на верхние отделы желудочно-кишечного тракта. Лечащий врач. 2014;(7);51–5. [Karateev AE. Comparative evaluation of the effect of nimesulide on the upper gastrointestinal tract. Lechashchii vrach. 2014;(7);51–5. (in Russ.)]. 67. Castellsague J, Riera-Guardia N, Calingaert B, et al. Individual NSAIDs and upper gastrointestinal complications: a systematic review and meta-analysis of observational studies (the SOS project). Drug Saf. 2012 Dec 1;35(12):1127–46. doi: 10.2165/11633470-000000000-00000. 68. Garcia-Poza P, de Abajo F, Gil M, et al. Risk of ischemic stroke associated with nonsteroidal anti-inflammatory drugs and paracetamol: a population-based case-control study. J Thromb Haemost. 2015 May;13(5):708–18. doi: 10.1111/jth.12855. Epub 2015 Feb 24. 69. Helin-Salmivaara A, Virtanen A, Vesalainen R, et al. NSAID use and the risk of hospitali-zation for first myocardial infarction in the general population: a nationwide case-control study from Finland. Eur Heart J. 2006 Jul;27(14):1657–63. Epub 2006 May 26. 70. Гришаева ГП, Балабанова РМ. Опыт применения аэртала (ацеклофенака) при лечении ревматических заболеваний. Трудный пациент. 2005;(2):56–9. [Grishaeva GP, Balabanova RM. The experience of using airtal (aceclofenac) in the treatment of rheumatic diseases. 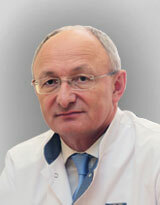 Trudnyi patsient. 2005;(2):56–9. (In Russ.)]. 71. Лила АМ. Применение Аэртала (ацеклофенака) в клинической практике. Русский Медицинский Журнал. 2009;(4):291–5. [Lila AM. The experience of using airtal (aceclofenac) in clinical practice. Russkii Meditsinskii Zhurnal. 2009;(4):291–5. (In Russ.)]. 73. Замятина ЕА, Багирова ГГ. Применение мелоксикама (мовалиса) и ацеклофенака (аэртала) у лиц пожилого возраста с остеоартрозом. Известия высших учебных заведений. Приволжский регион. Медицинские науки. 2012;21(1):40–6. [Zamyatina EA, Bagirova GG. The use of meloxicam (Movalis) and aceclofenac (airtal) in the elderly with osteoarthritis. Izvestiya vysshikh uchebnykh zavedenii. Privolzhskii region. Meditsinskie nauki. 2012;21(1):40–6. (In Russ.)]. 74. Мартусевич НА, Алешкевич АИ, Сидоренко ВА, Сергейчик ОВ. Сравнительная оценка эффективностии безопасности применения лекарственных средств ацеклофенак (Airtal®) и диклофенак (Diclopol®) у пациентов с гонартрозом I-II рентгенологической стадии. Медицинские Новости. 2012;(8):55–8. [Martusevich NA, Aleshkevich AI, Sidorenko VA, Sergeichik OV. Comparative assessment of the efficacy and safety of use of aceclofenac (Airtal®) and diclofenac (Diclopol®) in patients with gonarthrosis of I-II radiographic stages. Meditsinskie Novosti. 2012;(8):55–8. (In Russ.)]. 75. Pareek A, Chandurkar N, Gupta A, at al. Efficacy and safety of aceclofenac-cr and aceclofenac in the treatment of knee osteoarthritis: a 6-week, comparative, randomized, multicentric, double-blind study. J Pain. 2011 May;12(5):546–53. doi: 10.1016/j.jpain.2010.10.013. Epub 2011 Feb 1. 76. Moon YW, Kang SB, Kim TK, Lee MC. Efficacy and Safety of Aceclofenac Controlled Release in Patients with Knee Osteoarthritis: A 4-week, Multicenter, Randomized, Comparative Clinical Study. Knee Surg Relat Res. 2014 Mar;26(1):33–42. doi: 10.5792/ksrr.2014.26.1.33. Epub 2014 Feb 27.